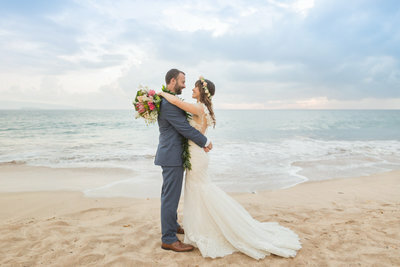 With a stunning setting and loved ones surrounding them, Alicia and Jerrol were more than ready to celebrate their love at this Oahu Venue Wedding. 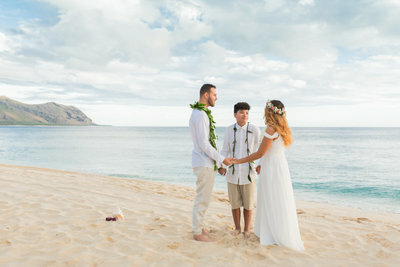 Since our groom is from Hawaii, some of their guests were local while the rest came over from the mainland. It’s easy to see that this couple has lots of support! 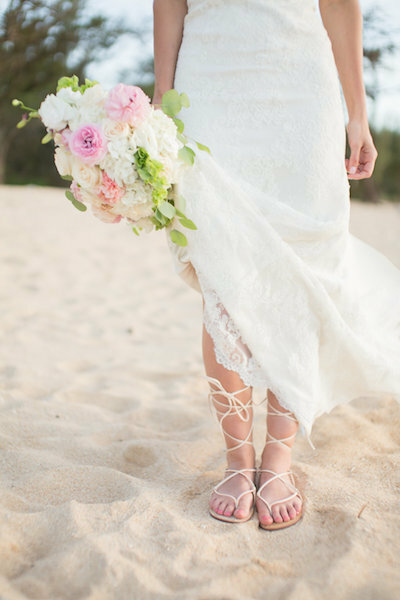 As our bride stepped off the boat with her father and made her entrance onto this private beach in a gorgeous mermaid gown, the smile on her face said it all. It’s easy to see that this truly was one of the happiest days of her life! Just as it should be and we are so honored we were able to be part of it. It’s a day we will never forget, and we are confident neither will this couple or their wedding guests! After taking the most beautiful wedding portraits with our sister company, Karma Hill Photography, our newlyweds were ready to celebrate with dinner at Roy’s. What a perfect ending to an absolutely perfect day! 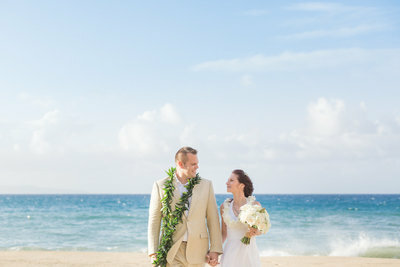 Thank you, Alicia and Jerrol, for letting Simple Oahu Wedding share in this special occasion. We wish you a lifetime of happiness together! Congratulations and Warm Aloha!